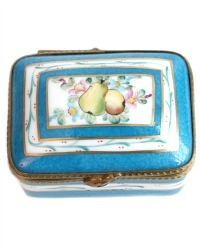 Unusual hand painted vintage Limoges Box, with decorative fruit design in beautiful colors with gold details. 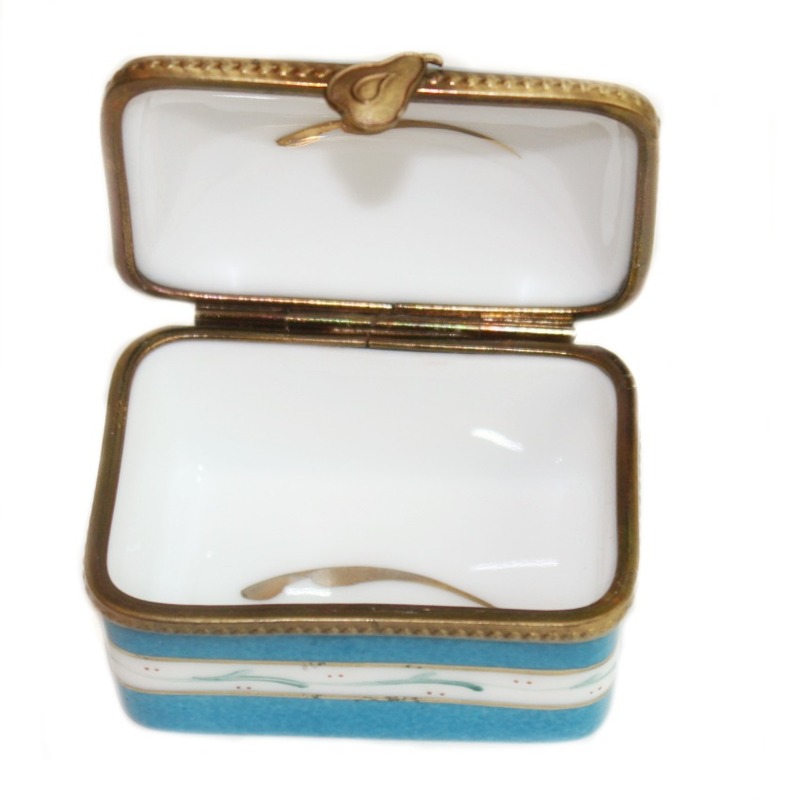 This is a rare to find blue color for a Limoges box, it's completely hand painted, the inside features two gilt flourish details. The top is decorated with a classic French fruit and floral design, surrounded by a leaf garland. The box closes with a bronze pear clasp. 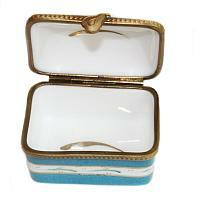 A fine quality miniature box to add to your collection, or the beginning of one. 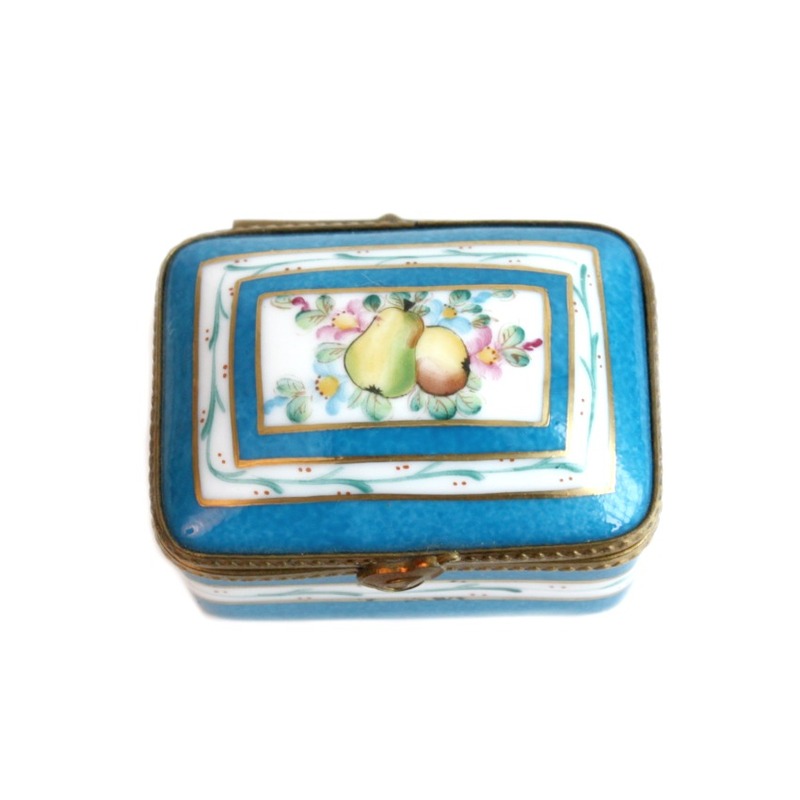 Showcase this on your antique French desk in your French Country home. 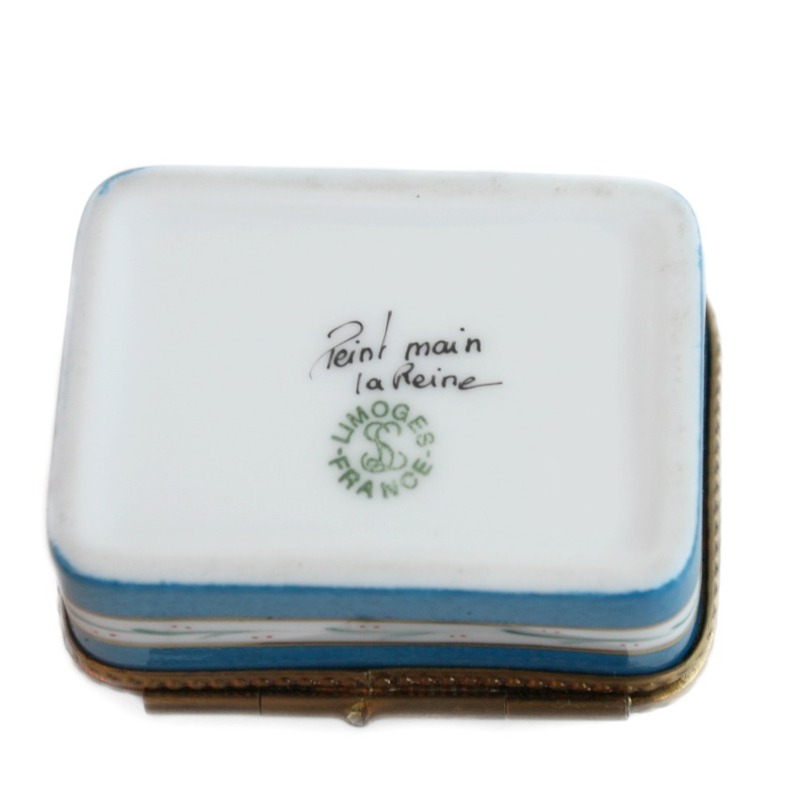 Signed on the bottom with Limoges, France, peint main le reine. Measures 2" x 1-1/2" x 1-1/4"h.